It's no secret that the UK doesn't have the best track record when it comes to the rights of those who rent rather than own their homes. From restrictions on decorating and owning pets to frequent rent hikes and slow repairs, the UK rental market can be a bit like the Wild West, especially in large cities. What this doesn't mean, however, is that if you rent a property you have no rights whatsoever, and should put up with poor living conditions or a harassing landlord. Alarmingly, a new survey of over 1,000 UK adults commissioned by rental expert Just Landlords reveals that a staggering 98 per cent did not know that if their landlord does not hold their deposit correctly via a government-approved scheme, then they as tenant are entitled to compensation that is three times the amount of the deposit. What other fundamental rights do you have as tenant? Below, we list the most important ones to remember. 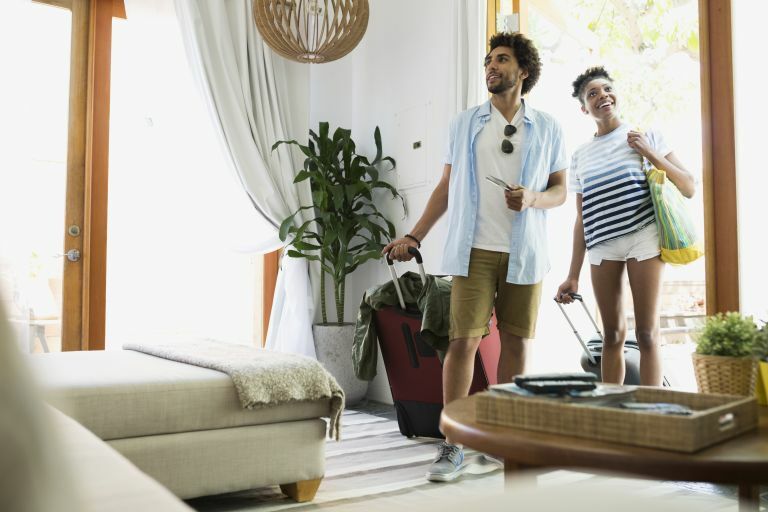 And, if you want a more comprehensive overview of all the different aspects of renting a home, read our beginner's guide to renting. This is a document that should clearly state your landlord's name and address, when and how much you need to pay rent, and where your deposit is held. This is very important, especially if you are renting privately. Be very wary if your landlord is refusing to provide you with their name and address, as they might be avoiding taxes and/or taking responsibility for repairs. Likewise, your landlord has to be absolutely clear on which government-approved deposit holding scheme they are using, and you need to have this information in writing. Landlords are required to give you written notice if they want you to move out. Of course, if you are on good terms with your landlord, and your are initiating the move, a conversation may well be enough, but you are entitled to having their request for you to leave in writing. If you've lived in the property for up to five years, they have to give you four weeks' notice; between five to 10 years – eight weeks. A tenancy of over 10 years entitles you to 12 weeks' notice. If your landlord is failing to comply, this can be classed as an illegal eviction. If your contract is open-ended and was signed after 1 April 2007, you have the right to a six month tenancy at the property. So, if you have just moved into a property on a contract without an end date, you have the right to stay there for a six month term. This is very important to understand; whatever your contract states about repairs to the property, your landlord is required by law to provide you with adequate heating, hot water, electricity, and sanitation at all times during your tenancy. So, if any of these essentials is out of order, request an immediate repair from your landlord in writing. If the problem isn't dealt with promptly, you should send a second letter, stating clearly that this is the second and final time you are requesting the repairs. If you still get nowhere, you can contact the Environmental Health department at your local council. They will do one of the following: 1) try to enforce your landlord to carry out the repairs by contacting them; 2) carry out the repairs themselves and bill your landlord. Yes, your landlord owns the property; no, they don't have the right to just come in whenever they please. Once they hand you the keys, they have to ask your permission to come in, unless in an emergency. This includes viewings of the property before you move out. Unauthorised entry is classed as harassment. Sending in builders at anti-social hours, opening your post or moving your belongings are other examples of landlord harassment, and should be reported to your local Citizens' Advice or local council. In London, you can report a landlord to the Greater London Authority. If none of this works, you can look into court action, although this could be expensive, so might only be worth pursuing in very serious cases. We do advise all tenants to use the internet's review culture as a tool for exposing bad landlords – and praising decent ones. In the absence of robust legislation against bad landlords, websites such as Rate Your Landlord are the next best thing, providing renters with valuable information and helping them avoid bad landlords in the first place. Want to know more about renting a home?